In the heart of North Carolina's Research Triangle stands a corporate laboratory much like the others nearby. But behind its walls, America's top scientists work around the clock to attain the holy grail of the twenty-first century - a supercomputer that surpasses the power of the human mind. Appointed by the president as ethicist to Project Trinity, Dr. David Tennant finds himself in a pressure cooker of groundbreaking science and colossal ambition. When his friend and fellow scientist is murdered, David discovers that the genius who runs Project Trinity was responsible and that his own life is in danger. Unable to reach the president, and afraid to trust his colleagues, David turns to Rachel Weiss, the psychiatrist probing the nightmares that have plagued him during his work at Trinity. Rachel is skeptical of David's fears, but when an assassin strikes, the two doctors must flee for their lives. Pursued across the globe by ruthless National Security Agency operatives, David and Rachel struggle to piece together the truth behind Project Trinity and the enormous power it could unleash upon the world. As constant danger deepens their intimacy, Rachel realizes the key to Trinity lies buried in David's disturbed mind. But Trinity's clock is ticking . . . Mankind is being held hostage by a machine that cannot be destroyed. Its only hope - a terrifying chess game between David and the Trinity computer, with the cities of the world as pawns. But what are the rules? How human is the machine? Can one man and woman change the course of history? Man's future hangs in the balance, and the price of failure is extinction. 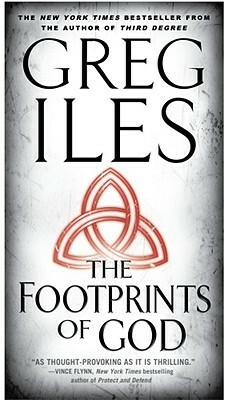 This was the 2nd book I read by Greg Iles. I am absolutely addicted to his books. I can't imagine how he comes up with these ideas and then how he crafts them into a story that is always mind provoking. When I completed this book, I had to look Greg Iles up on the internet. A very interesting person. I am a huge fan of his writing and books. So talented. This book is incredible! Loved it! I'm not sure why, but I never got that into this book. I didn't like the reader. His voice was annoying, and when he did a female voice, it sounded just a bit too weird to me. So that might have been some of it. It was an interesting premise, but the ending wasn't that satisfying. Excellent book, excellent reader. Lots of twists and turns that both kept me interested and came together well at the end. I enjoyed this book although it was long. I also do not like waiting for several days for the next segment to arrive. That is what you get with a long book. The story was and plot were very good and it even seemed possible. I recomend this book even with its length.